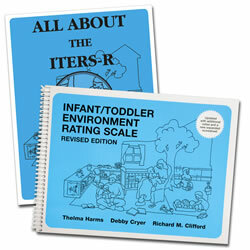 This resource guide should be used with the Infant/Toddler Environment Rating Scale-revised edition. It explains why each item is important, what is needed to meet the requirements for all items, and how to score. Over 800 color photographs taken in child care settings are presented in this text of 465 pages. 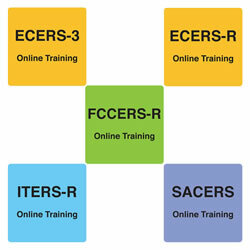 We have also developed a classroom list to correlate with ITERS-R (sold separately). Cathy Riley, M.S., is a lead trainer on the Environment Rating Scales and program coordinator at the Frank Porter Graham Child Development Institute, University of North Carolina at Chapel Hill, where she has worked for the past 15 years. Cathy has a M.S. in Early Childhood Education. Her experience includes working as a trainer and technical assistance specialist with providers, directors and other early childhood professionals throughout the U.S. She worked with Drs. Cryer, Harms and Clifford, field testing the revision of the Early Childhood Environment Rating Scale, the Infant Toddler Environment Rating Scale, and the Family Child Care Environment Rating Scale. 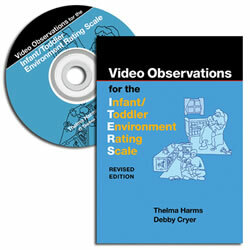 She has helped to develop training materials that are used with the Environment Rating Scales. Cathy has served as an adult trainer working with many state agencies as well as other early childhood associations. Cathy served as a Research Assistant for the Army Family Child Care Accreditation Project, which developed and implemented a model accreditation system for Army, Navy and Marine family childcare. She served as a training coordinator for the North Carolina Rated License Project, which included establishing systems of reliability, as well as training all assessors throughout North Carolina. She currently co-directs a training and development project for licensing consultants and technical assistant specialists in a statewide project. 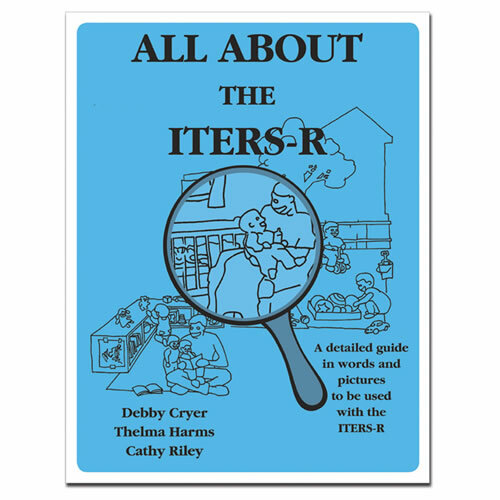 Cathy is co-author of All About ECERS and All About ITERS. This session will demonstrate to attendees how to produce program improvement plans based on the Environment Rating Scale. Participants will be shown how to use scores to formulate a plan that gives detailed, specific recommendations for quality improvement while identifying the provider’s strengths. Strategies and suggestions for conducting successful consultations with teachers and directors will also be provided. I loved the book, it is a great help in setting up our room. I work in the infant room. Thank you for the great book. It was the best thing I bought. 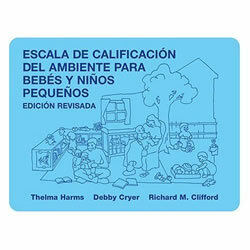 We are using this manual for Early Achievers in our center. Excellent! 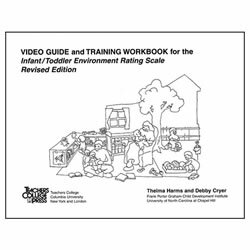 An easy guide to enhance the quality of your child care centre. Lots of details and suggestions. 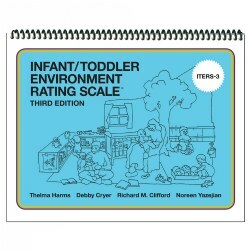 This book is very helpful to improve the quality of the toddler room.